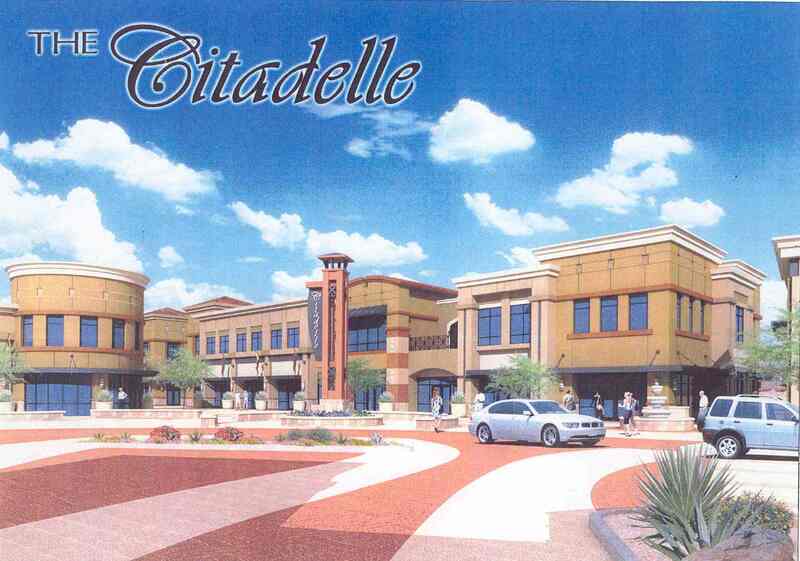 The new Citadelle at Arrowhead Ranch located at 19420 N 59th Avenue in Glendale will be celebrating a special holiday event for all ages on December 6th from 3 – 8 pm. The premiere West Valley destination for upscale boutiques, dining and spa and beauty services will offer exceptional, one time only discounts to shoppers, along with entertainment, food, and prizes. Among the wonderful shopping opportunities, Beth McDonald and Little Vinny of KEZ 99.9‘s “Beth & Bill” morning show will emcee this holiday celebration and people can enjoy live music provided by Rhythm Edition and local high school choirs. Kids can meet Santa for photos, “Mrs. Claus” (J K Hope) will sign her book ‘The Night Mrs. Claus Took the Reins’ and everyone can enjoy hot chocolate and cookies from Next Coffee Company. Also, Elements Therapeutic Massage will provide stress relief for weary shoppers with a free chair massage. Other merchants will offer specials and surprises. To remember those who are struggling this holiday, please bring a donation for Toys for Tots or St. Mary’s Food Bank. For every new, unwrapped toy or 5 nonperishable food items donated, you will be entered into the drawing for a chance to win $500 plus valuable gift baskets from the Citadelle Merchants. The drawing will be held at 7pm and you do not need to be present to win. This entry was posted in blog and tagged Arrowhead, baby clothes, baby furniture, christmas, coffee, cosmetics, gift ideas, glendale, hair salon, italian, KEZ, massage, rhythm edition, shoes, shopping, Spa, st. mary's food bank, toys for tots, Uncategorized, ZETHINA. Bookmark the permalink. ← Did your auto repair shop close down? 4 Responses to "CITADELLE CELEBRATES THE HOLIDAYS on December 6th"
if you are looking for other baby furniture or baby bedding, check out the serena & lily line at the heavensgatehomeandgarden site. they are also offering a $100 e-gift certificate with the purchase of any 3-piece baby/nursery bedding set — just in time for the new year. can’t beat it!